Tim Heidecker and Eric Wareheim, creators of such Cinco products as B’Owl, T’ird, and Cinco Boy, have decided to lend their creative energy to another company, climbing into bed with big pizza-roll—a.k.a. Totino’s. Either the company has a solid sense of humor or gave the Awesome Show and Bedtime Stories creators full creative control (maybe both! ), since this three-minute mini-movie is at turns confusing, scary, and thoroughly unhinged. It doesn’t so much sell a product as magnify its very existence, asking us to ask the question: Are we all a little bit Totino The Pizza Boy? 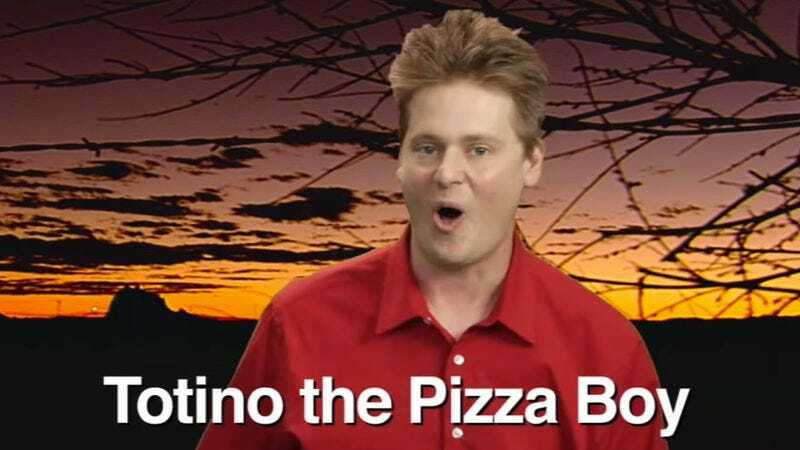 For those wondering whether this is a spoof or a goof, the video actually appears on a Totino’s site, so it’s a real commercial. We presumably won’t hear when General Mills—parent company of Totino’s—decides to fire or promote somebody for it. Could go either way.